Rollin’s College Family Weekend 2016 is almost upon us! The college looks forward to welcoming families to campus for this special weekend. Activities include spending time relaxing with your student, meeting with distinguished faculty members, and becoming better acquainted with the Rollins community! It’s always a special weekend for all. Thurston House Bed & Breakfast in Maitland has enjoyed hosting Rollin’s parents for over 24 years now. Our location just 3 miles from the school, yet in a very quiet secluded location, makes us a prefect location to stay. 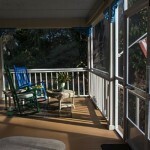 Enjoy the activities in busy Winter Park, then come “home” to your lovely room, one of only 3 offered to guests. After a great nights sleep and an excellent full breakfast you will be ready to enjoy another full day with your family. Rollin’s College Family Weekend 2016 starts in two days. We unexpectedly received a cancellation for our most popular room, the O’Heir Room, the only one overlooking Lake Eulalia. Make your reservation NOW! Back To School at Rollin’s College! It’s that time of year that students start heading back to this area to settle in for the new school year. Rollin’s College is just minutes from Thurston House and over our 20 years in business we have had our share of parents and incoming students stay here. Just now we have a mother & daughter from Switzerland. This is the 2nd daughter to be attending there. She and her sister are on tennis scholarships. We feel a great connection to Rollin’s because besides being less than a 10 minute drive away from us, the college opened in 1885. That is the same year that Thurston House was built! For students this area is a wonderful mix of upscale city and small town feeling. Park Avenue, right next to the campus, is home to wonderful restaurants, galleries, stores and museums. What a wonderful experience for them! Parent’s Weekend comes fast and this year it is November 2-4. Two rooms are still open but they always go quickly. Book now! Rollin’s College in Winter Park Central Florida has some of the most beautiful architecture in this area. Many of their buildings date back to the college’s founding in 1885. This complex of buildings at the end of Park Avenue is one of our Thurston House B&B guests favorite places to wander around. 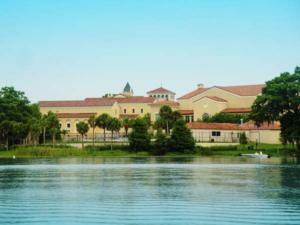 The college campus is on 70 acres overlooking beautiful Lake Virginia. It is in an attractive residential neighborhood, adjacent to the City of Orlando. The campus is a short stroll into the heart of Winter Park, Park Avenue. Full Sail University, For Over 30 Years! For over 30 years, Full Sail University has been providing advanced classes for those who want to learn about the music and film industry. Now their cutting edge campus teaches anything that has to do with the entertainment business. 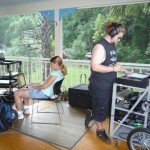 Classes offered include computer animation, film, games, music recording and show production, just to name a few. The campus has steadily grown into a technological and creative playground, with studios, labs and amazing facilities. We have enjoyed many Thurston House Central Florida B&B guests who are coming into Full Sail for one of their monthly graduations, or to settle in a new student to the area. Students have actually filmed a movie here, and NBC News filmed Matt Lauer doing an interview on our porch. 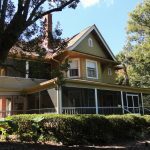 Our North Orlando bed & breakfast is just a short drive away from their Winter Park campus, and also from downtown Winter Park and Park Avenue. 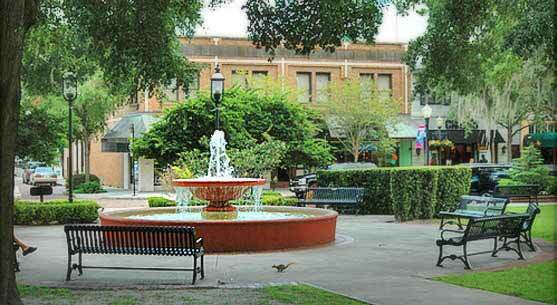 Walking Tours of Winter Park, Florida! I just found about this wonderful option for our guests – Winter Park City Tours. WinterPark City Tours delivers engaging lifestyle tours which showcase the community’s rich history, beautiful spaces and tomorrow’s possibilities. WinterPark City Tours will highlight landmark buildings in Winter Park and the rich enduring history of the town and key people and places that make Winter Park an unforgettable community. There are four distinct tour routes guests will be able to enjoy. What a wonderful way to see this beautiful neighbor city of ours! Our Central Florida bed & breakfast is just minutes from where the tours leave from.